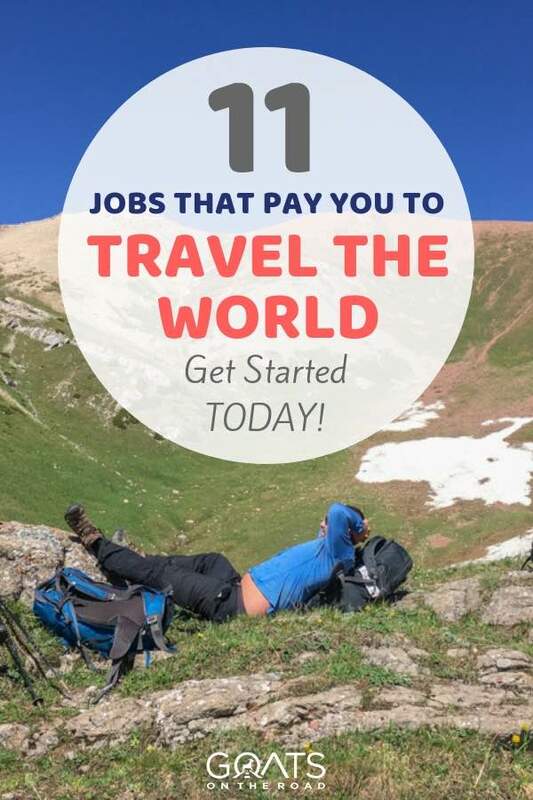 Want to get paid to travel the world, but don’t think it’s possible? Feel like it’s just a pipe dream? Think again! We’re proof that if you put your mind to it, you too will be able to get paid to travel. Every week, our inbox is flooded with emails from readers who want to travel, but don’t have the means to do so. Or, they want to travel and have some savings, but need to learn how to make money online, get paid to write online or find travel jobs while they’re on the road. People always ask us how we get paid to travel. Let me tell you, there are many many jobs you can do that involve travelling and making money. In fact, we just took a 1 month digital detox while visiting Canada and our income was higher than the month before! 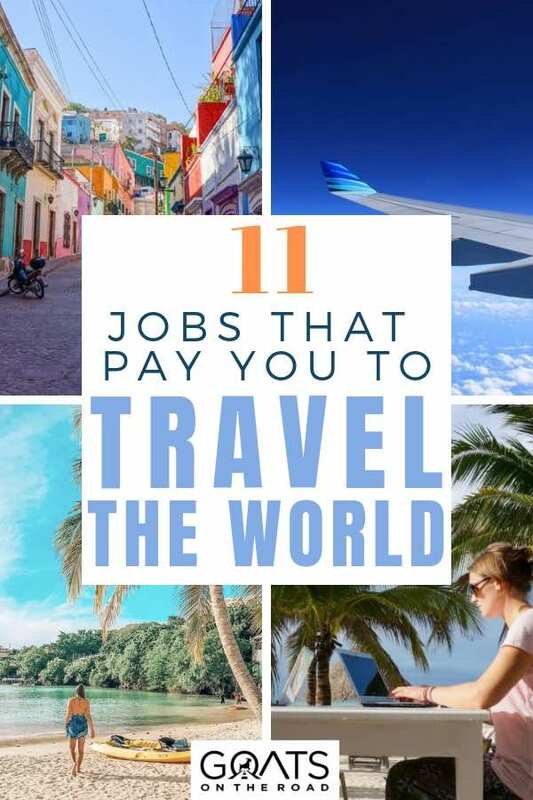 In this post, I’m going to list 11 great jobs that pay you to travel. But first, I think it’s important to have a bit of a nest egg before you take off actually figure out how to get paid to travel. It doesn’t need to be a huge amount of money, but something to fall back on while you’re searching for jobs. 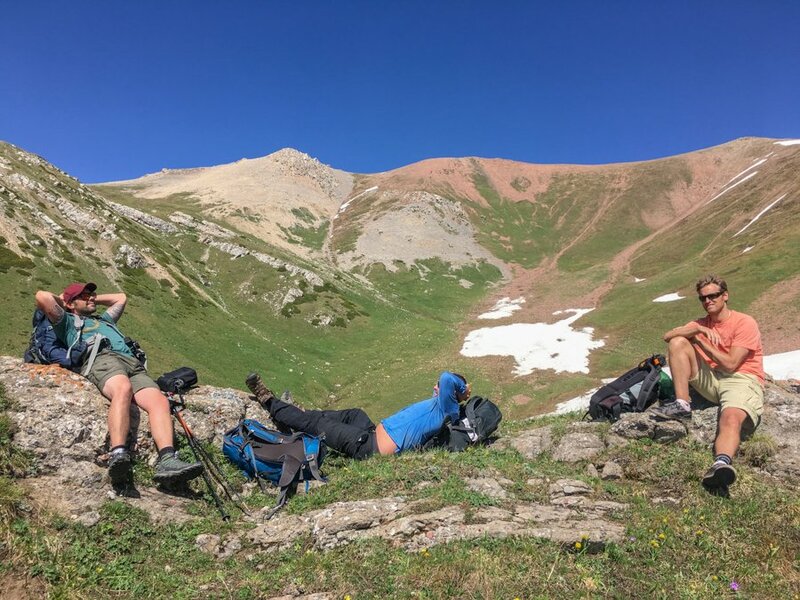 Getting paid to plot new trekking routes in Kyrgyzstan – ya, that was pretty amazing! In the beginning, we didn’t even consider getting paid to travel. In fact, we didn’t really know it was possible. All we wanted to do was quit our jobs, leave Canada behind and fly to Southeast Asia and the Subcontinent to experience a year of complete freedom. 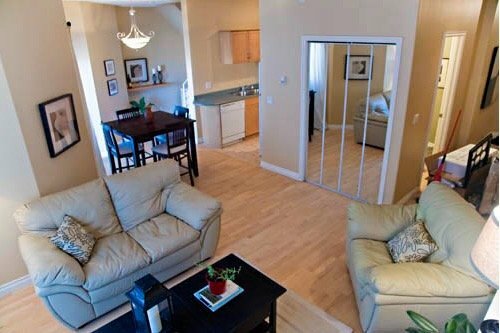 We saved up as much money as we could and sold our possessions – including our condominium, vehicle and electronics. After saving and selling, we were able to come up with $40,000. That year abroad was life changing and eye-opening. Meeting people from all walks of life, and learning about their culture, religion and lifestyle was something that we were completely enthralled with. We wanted more. The travel bug had a grip on us and we needed to figure out a way to get paid to travel — it was our new-found passion and calling in life. Going back to working in an office and a plant simply wasn’t an option. Sadly, at the time we didn’t realize we could get paid to travel. In fact, we thought the only way to make money was to go back to Canada and work again. So, we sucked it up and returned home to our same jobs for one final year. We were completely different people, with one goal in mind: SAVE MONEY TO TRAVEL. Before you head off on a trip and figure out ways to get paid to travel, I recommend having some savings in the bank. We rented out our spare bedroom to a friend. Having a “third wheel” in the house wasn’t great, but hey, it was an additional $800 / month. We worked overtime shifts and took on second jobs. Nick picked up as many extra hours at work as he could, and I took on a second job. I was able to earn money from home in the evenings and weekends. We put ourselves on a budget. We each had $50 / month to spend on entertainment. This included dinners out, date nights, buying coffee, anything that wasn’t a “necessity” was considered entertainment. It’s amazing how far $50 went when we would stop and think about whether or not we actually needed the item we were considering buying. Downsizing and consolidating. We cut our internet, cable and cell phone bills back to the very basic amount. Nick sold his expensive car and purchased a cheaper one. I walked to work instead of purchasing a transit pass. We sold things that we didn’t need anymore, including furniture, extra set of tires, extra TV, etc. I didn’t get my hair done at the salon, or purchase any new clothing. Selling our possessions and payouts from work. If we didn’t take our vacation pay at work, or our sick days, those would be paid out at the end of the year in cash. So, we didn’t take any holidays while saving, and since we rarely get sick, we had lots of those days too. We also sold Nick’s vehicle and my condominium before taking off to travel the world. We aren’t trust fund babies, and we didn’t receive any money from our families. We just set a goal for ourselves and made saving money for travel a top priority. If you don’t think you’re able to save enough money to travel, there are also plenty of ways to travel when you have no money. 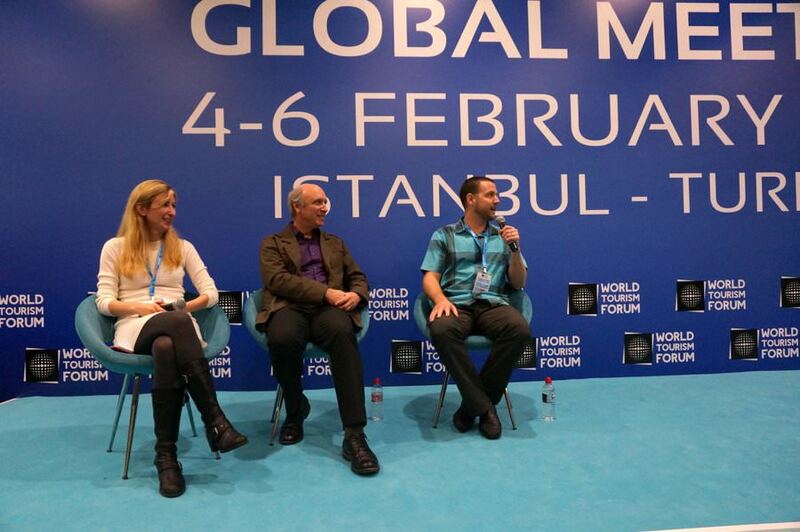 As bloggers, we’ve been to many conferences around the world, and were even invited to speak at one. Whether in the travel space or not, if you are knowledgable on a particular topic (business, finance, tech, fitness, etc. ), then there will be a conference or event for you. Friends of ours make a great income by being invited as keynote speakers to various events around the world. Many times, once the conference is over (keeping in mind, you’ve been flown there to speak, put up in a swanky hotel, provided all food and earned a salary), there will be a tour or a trip to nearby cities in the country. This is a great way to get paid to travel. Think about subjects that you’re an expert in, research conferences around the world, and apply to be a speaker. The best way is to use Google for this. If you want to speak in New York about your expertise in travel blogging, search “travel blogging conference in New York”, or “travel conference in New York”. 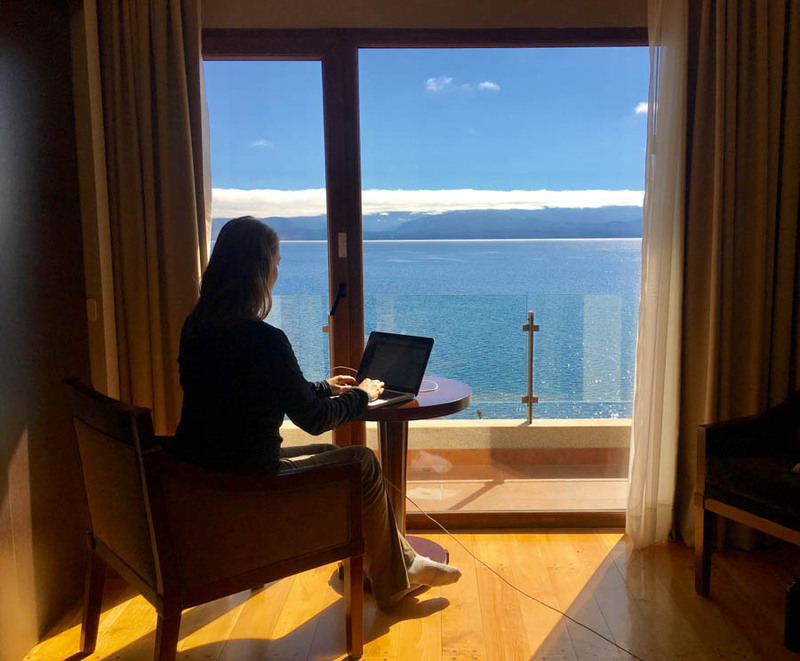 One day, when our trip was coming to an end and our funds were running low, I read an article from a fellow travel blogger that stated he earned around $3,000 a month from travel blogging. At that time, we were travelling on a budget – around $50/day for both of us. That $3,000 was more than double what we needed for a month of travel. That was all the inspiration we needed. We learned how start a travel blog within a couple of days of reading that article. This is by far our favourite way to get paid to travel. It took a couple of years, but since we were investing time and energy into something we loved, it didn’t feel like work – and still doesn’t. We live and work from anywhere in the world that has a wi-fi signal. 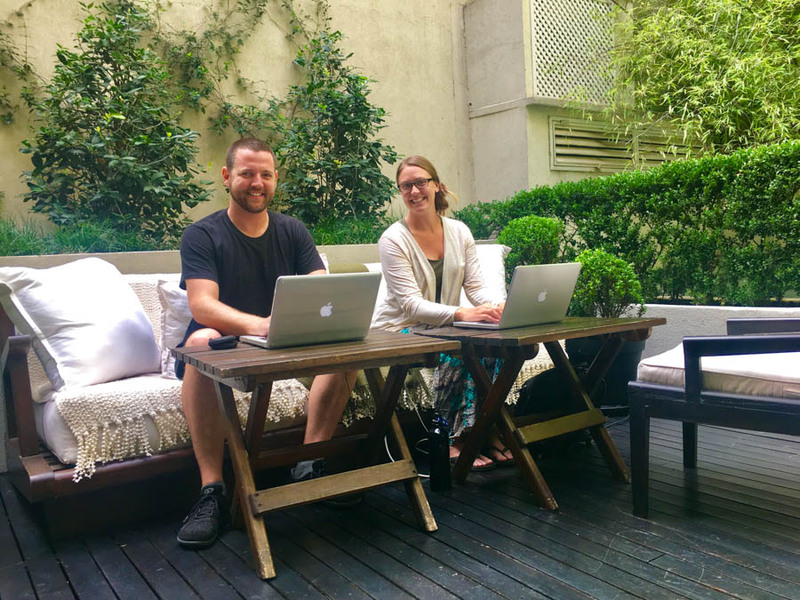 We’ve blogged from cafes in Rome, Bali and Guanajuato, and rented apartments to work from home in Guatemala, Grenada, Thailand and Argentina. 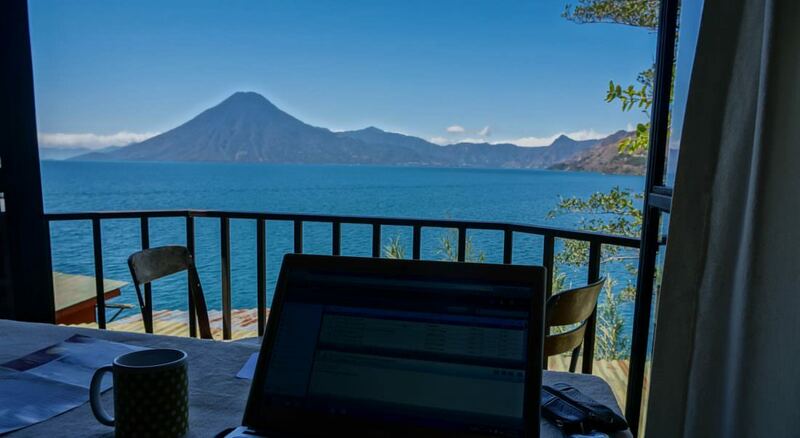 Our office on Lake Atitlan in Guatemala – not bad! Affiliate Marketing. When someone purchases a product or service that we recommend, we earn a commission. If you purchase travel insurance, book a hotel, rent a car, buy a product on Amazon, etc. we make some money from that company. Content Creation & Social Media Management. Our team helps other websites by creating content (articles) for them, and managing their social media accounts – such as Pinterest and Facebook. Advertising through Mediavine. Once you receive 25,000 page views on your website, you can be earning around $400/month just for having relevant ads placed on your site. The more page views you have, the more money you can earn. Goats On The Road currently has 350,000 page views a month and even though we have many ads turned off, we still earn around $2,500 / month from MediaVine ads. Media and Product Sales. You create a product and sell it to your readers. 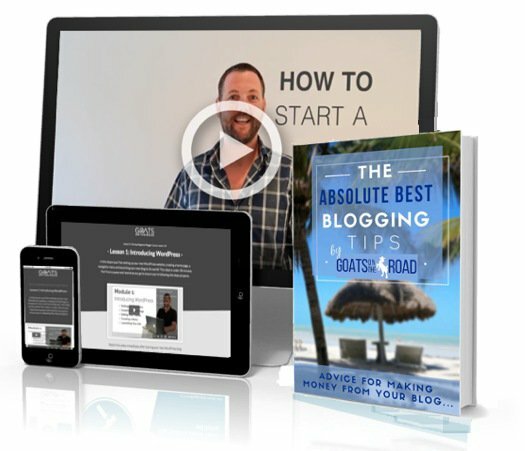 Whether it’s an ebook, a course or t-shirts, this is a great way to get paid to travel through your blog. Press Trips. Once your website has a decent amount of traffic, or you have a strong social media brand, you’ll start to get contacted by tourism boards, hotels and tour companies who will invite you on a trip to review their company / city. Destination Marketing is a fun way to meet new people, explore new places and get paid to travel. Considering starting a travel blog, fashion blog, mommy blog, food blog…any type of blog?! 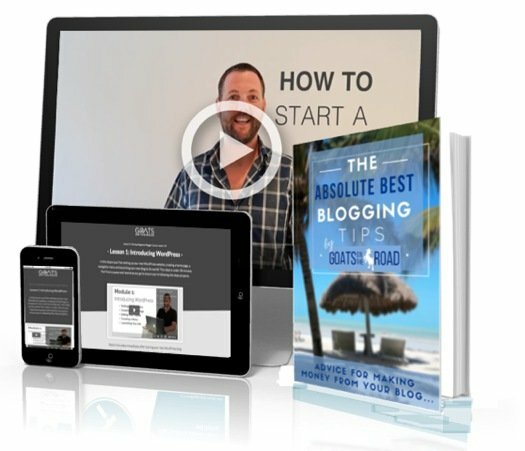 Right now we’re offering our Pro Blogging ebook, Beginner Blogger Course and access to our Private Facebook Group all for free when you start a blog through this link. How Much Money Can a Travel Blog Make? If you become an ambassador for a particular company, you will literally be paid to travel in order to create content for them. They’re generally looking for you to use their product or service, and then write about it and/or share it on your social media accounts. Oftentimes they want you to go to a particular destination to create a video around a certain topic (while of course, tying in their brand). 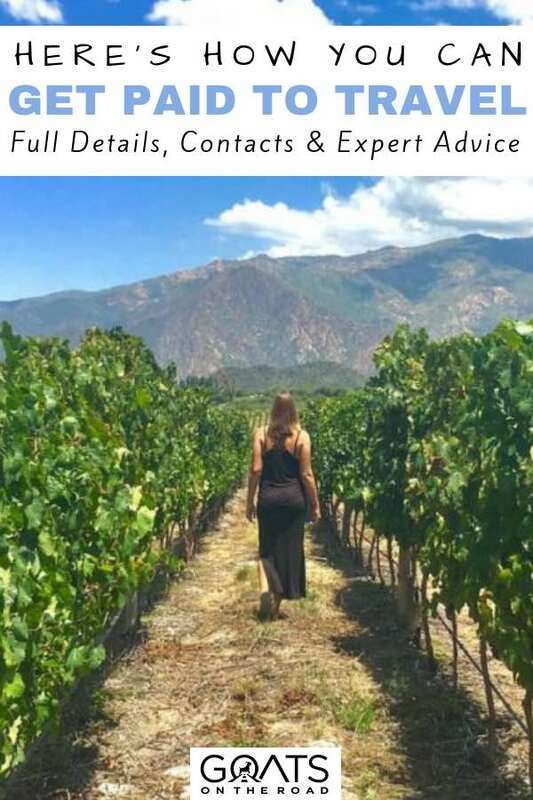 Our friend Rachel is a brand Ambassador for Afar Magazine and is sent on various stints around the world to discover and explore, then report back. Well-known clothing and travel brands offer similar jobs – such as Gadventures, Kathmandu, REI, etc. If there’s a brand or product that you resonate with, reach out to them and see if they’re looking for Ambassadors. Long-term ambassadorship programs (ie: 1 year or more) can pay around $10,000 – $20,000 / project. Of course you’ll have to offer them deliverables in return. Typically there will be an agreed upon amount of content that you will have to share per month – a video, exposure on your social accounts or a post on your blog. You’ll get paid by the company, travel around using their product / service, and in turn their brand will be seen by thousands of your followers. It’s a win-win! Looking for remote work? There are numerous companies online, but not all are legitimate. Check out FlexJobs who list jobs in over 50 career categories – all of which have been handpicked and screened. Sign up for FlexJobs today and use promo code NOMAD to save up to 30% off. Or, click here to learn more about this company. While we were getting Goats On The Road up and running, we needed to earn an income. Our savings were dwindling and we had to figure out how to get paid to travel – asap. When we started searching online for teaching jobs in China, we were overwhelmed with the amount of schools available. The problem was, when we did Google searches for reviews of the schools, the results were almost always that they were a scam. Thankfully we didn’t get too discouraged and eventually, we came across Shane English School and ended up signing a 1 year teaching contract with them. We would be earning $1,500 a month each, while receiving free accommodation, Mandarin lessons, health insurance and bonuses. We had our travel costs covered as well! They flew us to China, and then onwards to Mongolia at the end of the contract. Plus, we only worked 20 hours / week, which gave us plenty of time to grow Goats On The Road. During the year, we had many days off which allowed to explore the surrounding cities some more. You can easily travel to nearby countries as well — such as Japan, Korea, Thailand, etc. 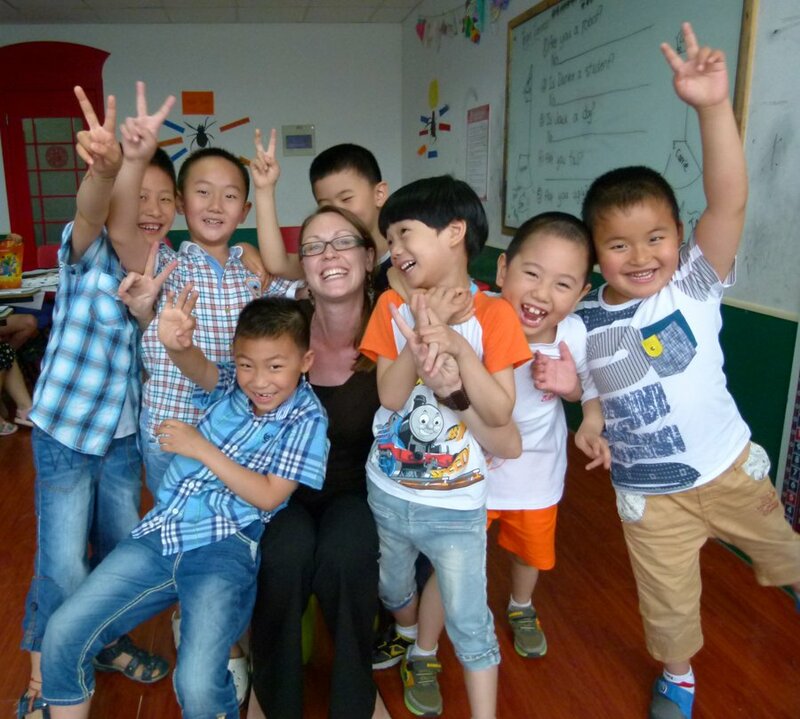 Are you considering teaching English in China? Right now, that same school that we taught fore are looking to hire more teachers. 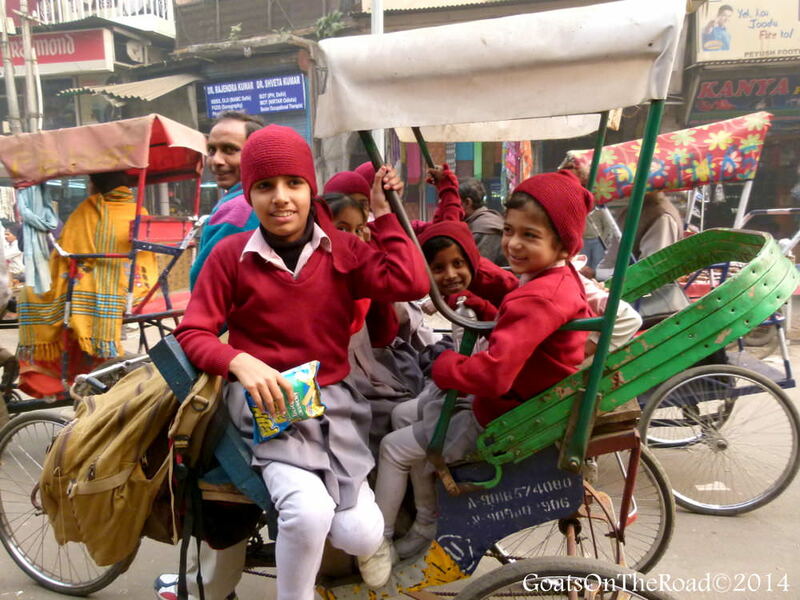 They’ve upped the pay as well and teachers will earn $2,600 USD / month, plus accommodation, travel etc. Amazing! Click here to learn more and to apply. Once your contract is up, you can apply to teach English in Japan, Mexico, Spain, Thailand, etc. Getting paid to travel as an English teacher is a job we highly recommend. Basically, you use your online influence to showcase a destination or a product. You’ll need to build up your social accounts (in particular, Instagram or YouTube) so that you have the numbers and the reach that companies are looking for. Many social media influencers are paid big dollars by tourism boards, travel brands, and other companies to promote them. 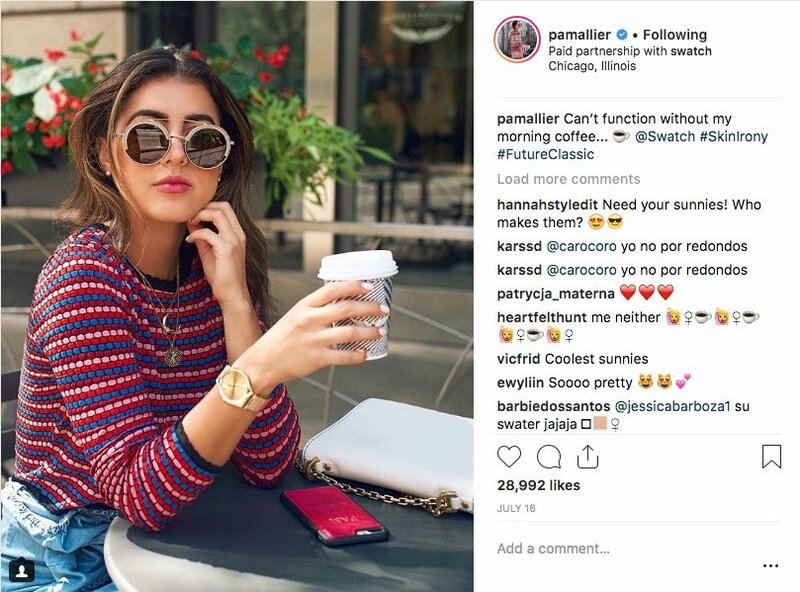 You’ll often see an Instagrammer with a huge following posing with a particular product and tagging that company – that’s being a social media influencer. That company will pay him/her big bucks to travel to exotic destinations and pose with the product. The influencer above was on a campaign with us in Chicago. She was paid by the Chicago Tourism Board to promote the city to her followers…but, she is also an ambassador for Swatch. So, as you can see, due to her social media influence, she was being paid to travel and promote a product! Similarly, influencers will be invited by tourism boards of a city or country to spend a week or so experiencing all that the region has to offer, and will expect you to showcase the destination to your readers. Accommodation, food, tours and flights will be included and you’ll receive a salary on top of this as well. Depending on the press trip, you’ll need to provide “deliverables” in the form of social media shares, YouTube videos or blog posts. We’ve been paid to travel with tourism boards from Malta, Chicago, Kyrgyzstan, Indonesia and more. If you like ships, travelling and people, working on a cruise ship might just be the best way for you to get paid to travel. You’ll cruise from port to port, and have an opportunity to check out the new destinations. You’ll be paid a good salary ($1,800+ / month), plus free accommodation and travel. If you have no bills and are working on a cruise ship, you’re literally getting paid to travel around the world! For our fully detailed article, have a look at How To Find Cruise Ship Jobs – The Ultimate Guide. 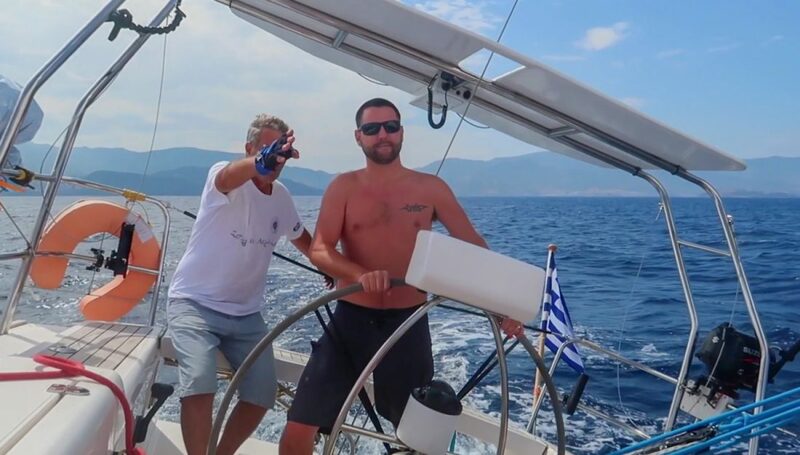 If you like to sail and want to earn money, working as crew aboard a boat could be the perfect gig for you. As with being a cruise ship worker, you’ll literally get paid to travel. Companies and yacht owners oftentimes need someone to bring their boat from point A to point B while they are out of country. For example: someone’s boat is being serviced in the British Virgin Islands, and they need it returned to where they are in England because they want to set off on a Mediterranean adventure. Maybe the owners don’t want to sail across the Atlantic, or they simply have other pressing plans. You would be onboard with a crew to bring that boat safely to the UK. Typically, these are 1-way trips and you’ll be paid a daily fee, food on board, and a plane ticket back to the home dock / city that you came from. Sailing experience is preferred, but not always required. Click here to learn about the positions available. Like to sail? Consider delivering sailboats or yachts to various ports! If you consider yourself a seasoned traveller, and know a destination quite well, you might want to consider setting up your own tours. Pick a niche for your tour and run with it. Will it be photography? Adventure? Luxury? Food? We know many travel bloggers who have diversified their income streams to include running their own small group tours to places like Peru, Kyrgyzstan and Pakistan. It’s a lot of work to put the tours together, but they can be quite lucrative. Further, if you are certified or have a certain skill set, consider becoming a tour guide. If you know the history and architecture of the city you’re living in, start a walking tour. Are you a pro kayaker, surfer, cyclist? Maybe think about becoming an independent guide, or at least, working with an already established company. This is one of the best ways to get paid to travel. 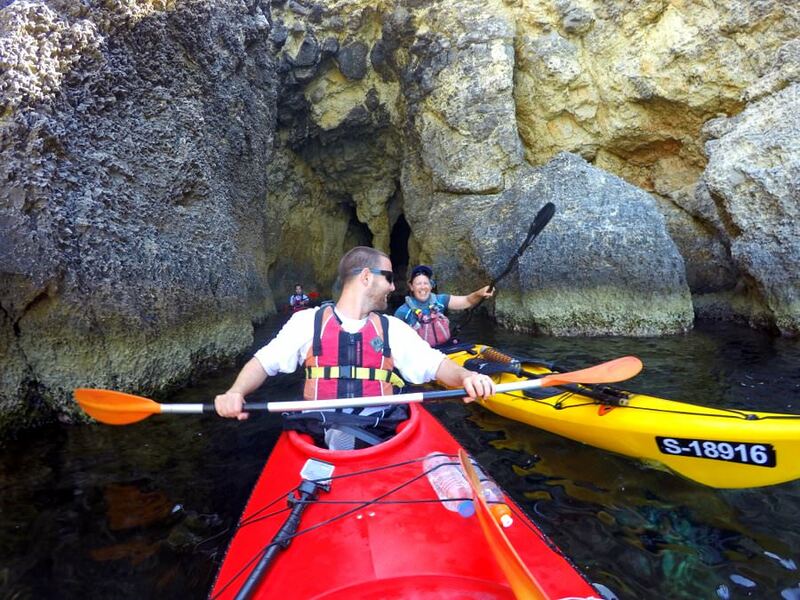 The kayak guide in the photo below is from Ireland, but was working in Malta before moving on to her next job somewhere else in the world. She loved her job and said it was such a great way to get paid to travel around the world. If you don’t want to start a blog and work for yourself, you can opt to become a freelance writer or journalist (or, do both). Many online and in print publications will pay you to write an article for them. Think about what you specialize in and start pitching companies. Who knows, within a few weeks, you could get paid to write online. As with travel blogging, the beauty of this job is the location independence it affords. Work in your pyjamas from anywhere in the world. Some of the bigger publications (National Geographic, New York Times, etc.) will literally send you out on a job. For example, journalists and writers might be invited to report on the opening of new hotels in various destinations, unique festivals in a region, or to experience the culinary scene. 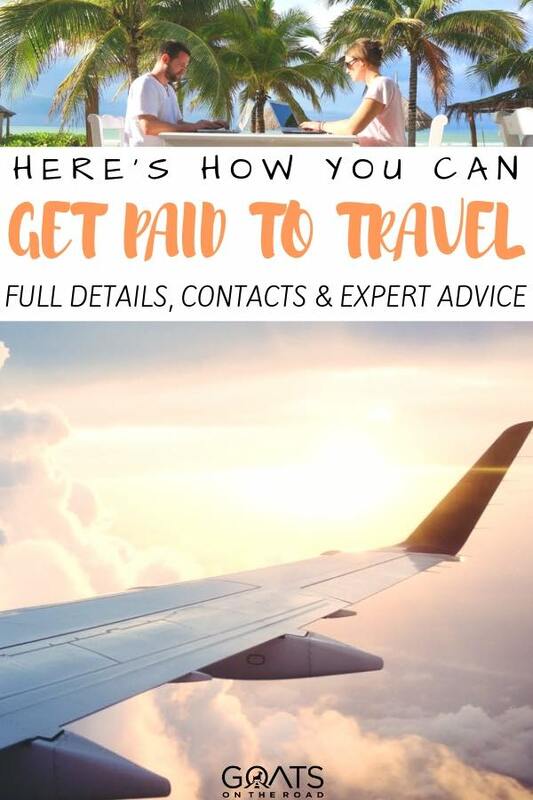 When we first started trying to figure out how to get paid to travel, we reached out to numerous publications in the finance, lifestyle and travel industries and got ourselves quite a few gigs. **We’ve recently partnered up with Solid Gigs. This company manually searches through over 100 freelance job boards and sends you the best 1% to your inbox on Tuesdays. Use promo code GOATS2 to get your first month for just $2. Click here for details. If you’re a native English speaker, this is an excellent way to supplement any job, or have it as your full-time job. You can teach English to students all around the world, but the most popular company (for North Americans) is VIPKid who have Chinese students. You don’t actually have to move to China to teach Chinese kids, amazing! 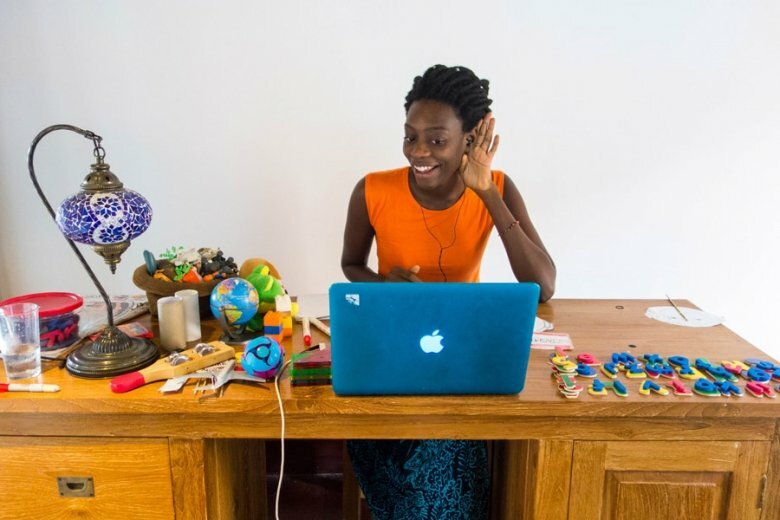 With this job, you can work from anywhere, and get paid to travel. We know people who teach English online from Puerto Vallarta, Mexico, and from Spain. This job gives you the freedom to move around, and not be tied to one place for an extended period of time – unless you want to be. There are so many online businesses these days, and with that comes opportunity for assistant work. We personally have a staff of 4 virtual assistants who help us with everything from building up our Pinterest account to editing articles for our website. If you’re good at social media and know how to build engagement and a following, you can reach out to online businesses and see if they need your help. Many influencers need assistance with editing videos for YouTube, working on their SEO (search engine optimization), or marketing themselves and reaching out to potential partner companies. There are numerous tasks a virtual assistant can do. Pay depends on your skill level and the tasks at hand, but for basic tasks you can expect around $7.50 – $50+ / hour. Depending on the company, there might be opportunity to literally get paid to travel as well. We’ve sent our assistants on trips to New Hampshire and Beijing on our behalf, and some businesses hold meet-ups with their staff in various places around the world. Find virtual assistant jobs here. This job doesn’t actually pay you to travel, but I think it’s a great job for those who love to travel. In various places in the world, you can find jobs picking fruit, working on a farm, or picking grapes on a vineyard. These jobs are great because you get to work outside, meet new people and earn a decent wage as well. Plus, since they’re seasonal, you can work in the southern hemisphere for part of the year, then move north. Find yourself exploring Canada, then head south to experience New Zealand! If you’re interested in wine, working as a grape harvester is an excellent way to learn about the industry – who knows what sort of opportunities might arise. For those who are interested in agriculture and farming, there are lots of skills you can learn by surrounding yourself with experts in the field. There are numerous volunteer jobs, but for paid work, check out Backdoor Jobs. I found farming jobs for $275/week plus room and board. Love wine? 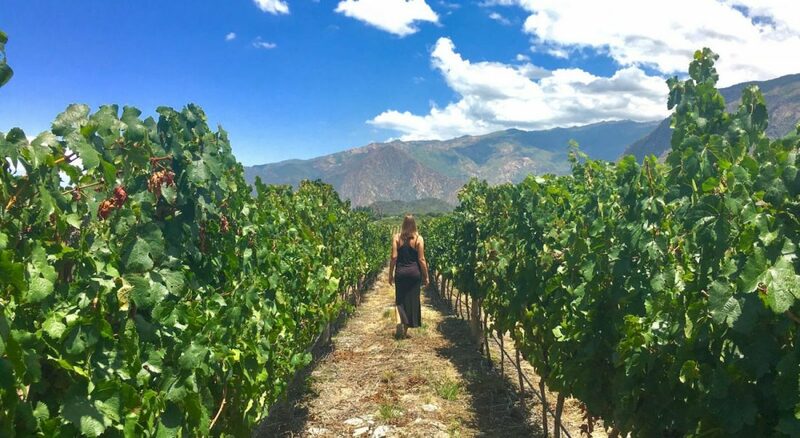 How about working on a vineyard – a great way to get paid to travel! 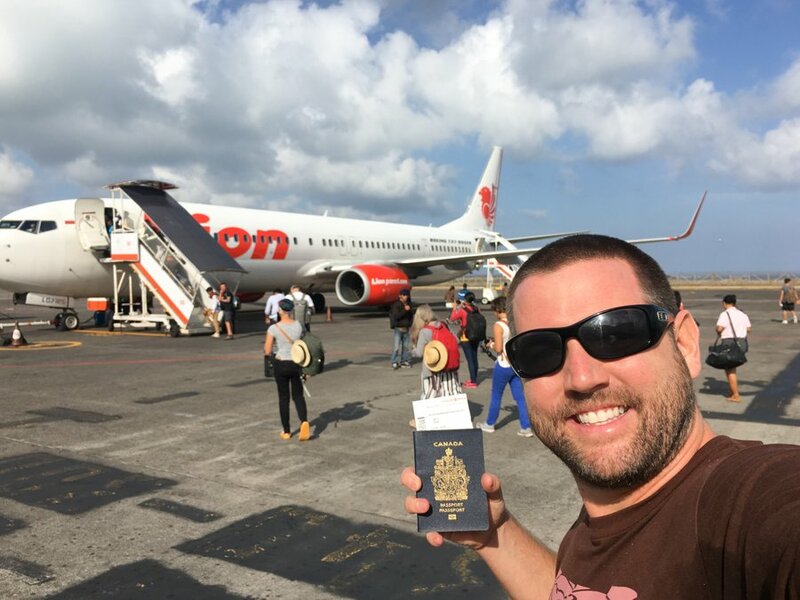 If you’re planning on working online, I highly recommend basing yourself (or travelling) in a region where your home currency (or the currency you will be earning) will go further. For example, if you’re making $1,000 / month, that money will last a lot longer if you spend time in Mexico, Thailand, Bolivia or Greece, as opposed to the UK, Canada, USA, or the Caribbean. Consider living somewhere with a low-cost of living until you start earning more money. Our friend and author, Tim Leffel has written an ebook titled: A Better Life For Half The Price and I highly recommend grabbing yourself a copy. 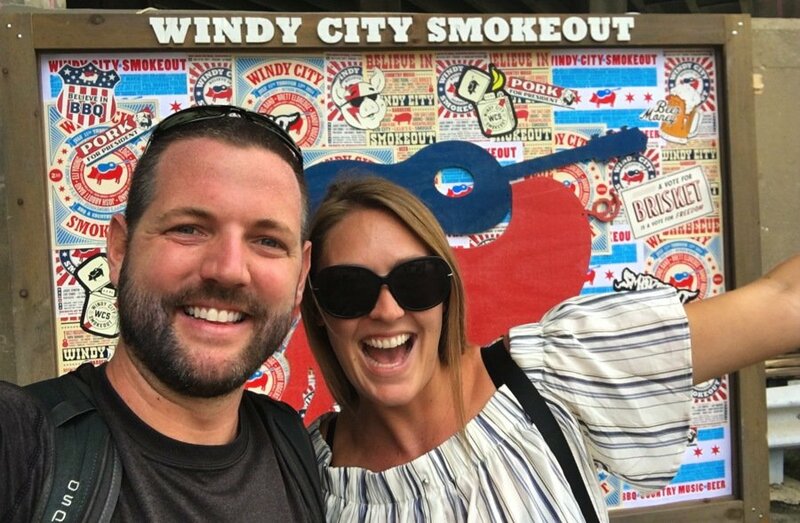 Getting paid to travel to Chicago and attend food festivals was pretty amazing! You can too if you become an Influencer or Blogger! If you’re wondering how to find cheap apartments and hotels around the world, click here. We typically use Airbnb, local Facebook Groups and sometimes, Booking.com. Many of the ways to get paid to travel that I listed above include accommodation, but if they don’t, I recommend spending some time in one spot to help save money when you’re starting out — you can cook for yourself, and you’ll receive discounts on longer stays. Another option, if you’re considering online work as a way to get paid to travel, is to try house sitting and pet sitting. 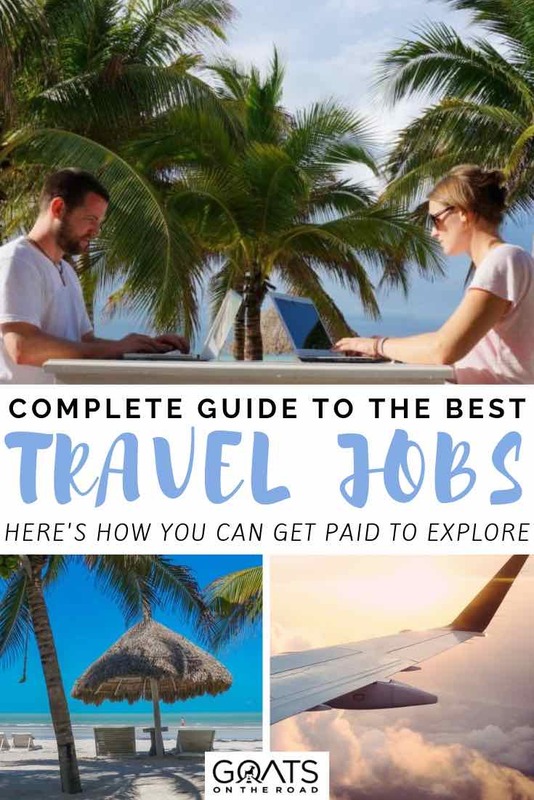 While these jobs don’t typically pay you, it’s a great way to live like a local and immerse yourself into the destinations you visit. In exchange for taking care of someone’s home and/or pets, you’ll receive free accommodation and use of their vehicle. We’ve house and pet sat in Grenada, Barbados and Costa Rica, and loved it. Most of all, I think it’s important to take risks and follow your passion. Don’t decide to become a social media guru if you don’t like Facebook and Instagram. Don’t think you’re going to make thousands of dollars by being a motivational speaker if you hate public speaking. Don’t plan to start tours if you don’t really like being around groups of people. You get the point. If you do what you love, it won’t feel like work. 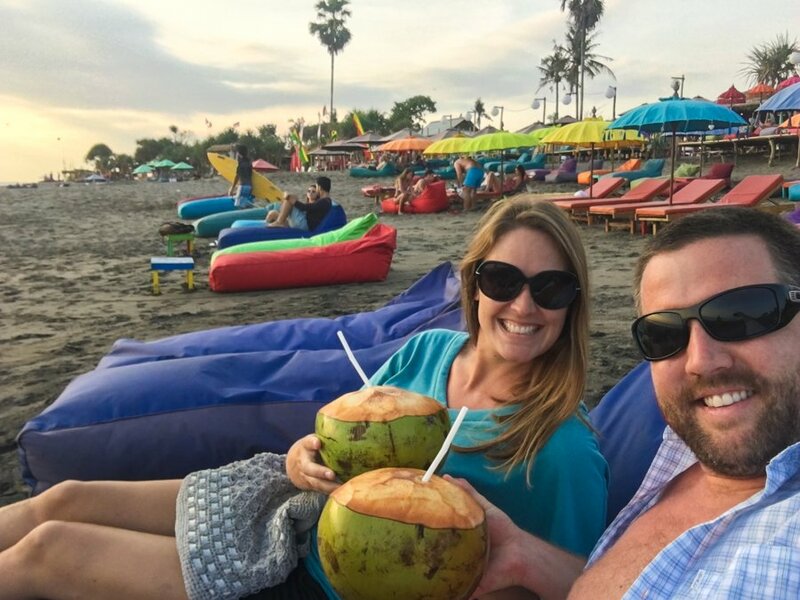 There are many travel jobs out there, but for us, we love travel, being with one another, and sharing our journey with others. Blogging is definitely our favourite way to get paid to travel, and if you love photography, writing, connecting with others, and social media, then I recommend you start a blog too. Hopefully this list gave you some inspiration for ways to save money at home, and how to get paid to explore. As I said above, there are numerous ways to get paid for travel, all you need to do is make the conscious decision for a change and go for it. Good luck! The very interesting post you have shared with us. I love your blog and your style! We were inspired by your blog and started ours with the help of your E-Book…..however, we are taking some time off now and trying to figure out some details. Our niche is a travel with young children! Do you recommend any blog with similar niche as ours? Hi Maanii! I’m glad you found our ebook and blog inspiring and that you were able to start your own There are lots of family bloggers out there, but we like ytravelblog.com. Happy blogging and happy travels! Thank you for sharing this information. I showed the teaching in China requirements to my daughter- who is not quite that age-group yet, but it opened her eyes to future possibilities and what she needs to set as her priorities to reach those goals. It’s easy for someone to tell you that ‘you can do anything’ but can be difficult to comprehend. So thank you again for the easy-to-understand break-down of these money-making possibilities! Thanks so much for the comment Sally! I’m so glad it gave your daughter something to aspire to and helped set out her priorities. This was a very well written and extremely motivational blog. My girlfriend and I have always dreamt of doing something like this but tucked it away as something that was just that.. a dream. Thank you for sharing steps on how to make our dreams a reality! Hi. I am a full-time, widow, mom of two. My son is 12 and my daughter is 10. 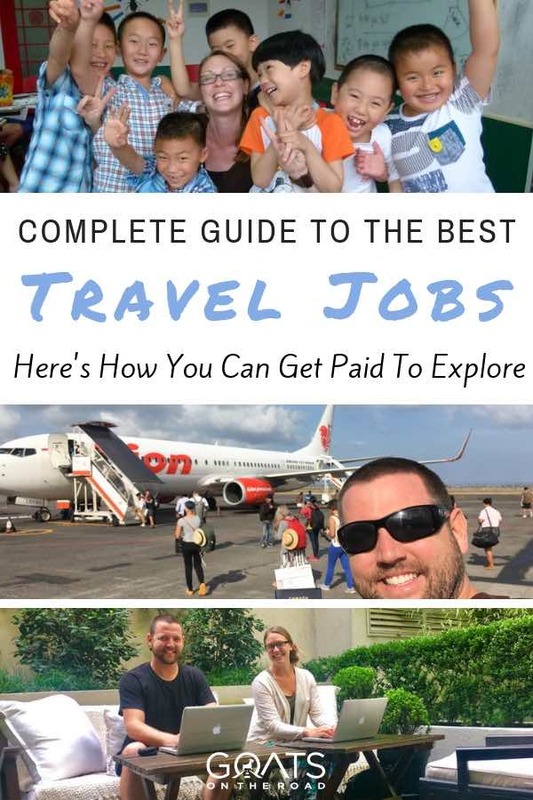 I would some information on getting started with getting paid to travel. Since we lost my husband (nearly 3 years ago now), I have been trying to figure how to make happy memories for my children. With losing daddy so young, they didn’t have a lot with him, because he worked so I could be a stay at home mom. I tried working, but my children need me. If I could get paid to travel and just post on social media about our experiences, that would be the PERFECT DREAM JOB!!! The 3 of us could make many happy memories, especially over summer break. Wow! You are truly inspiring! I want to be like you someday, like to travel to the world. I’m surprised you didn’t mentioned being a musician and travel playing music. w ant to Travel for A career,need some help.